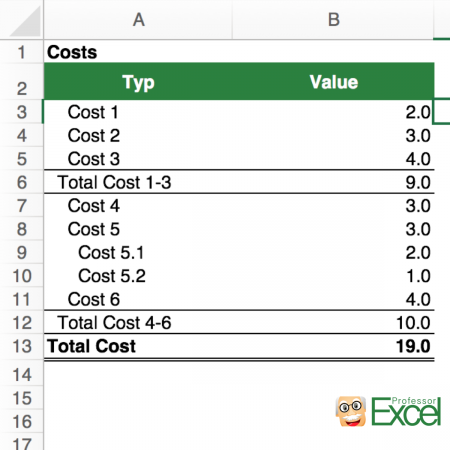 One way to evaluate the cost data is to manually type the formula as in B6: “=SUM(B3:B5)”. But for the sum in row 12, you’d have to be careful not to sum up Cost 5.1 and Cost 5.2 twice. 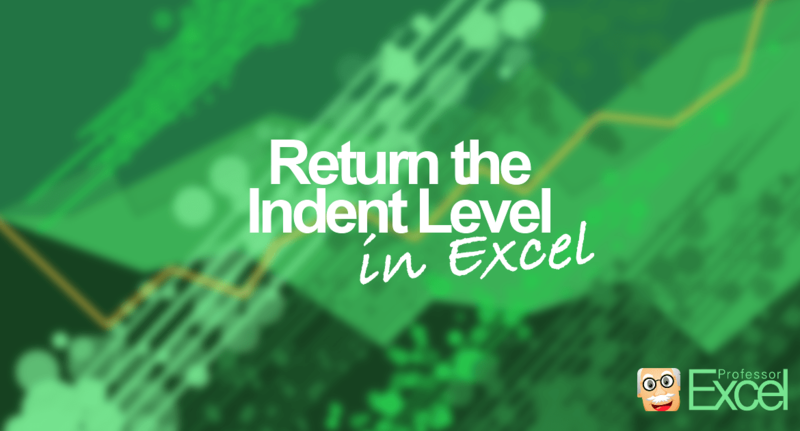 Therefore, the indentation levels are useful. Copy and paste this code into a new VBA module. Therefore (as usual) go to the Developer ribbon. Then click on Editor, right click on Microsoft Excel Objects. Insert a new module. Paste the code into this module. In this example you’ll get 2 as the return. Please note that if you use this formula on a large amount of cells it can slow down your workbooks performance. 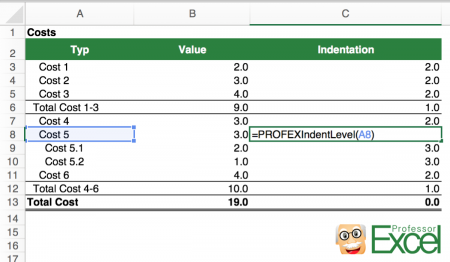 Let’s say you want to get the indent level of cell A1, just type =PROFEXIndentLevel(A1). Press F9 for refreshing.